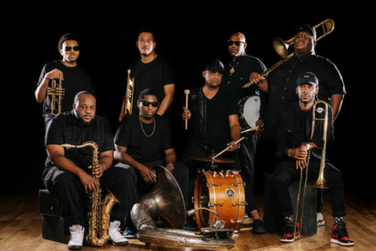 The Soul Rebels started with an idea – to expand upon the pop music they loved on the radio and the New Orleans brass tradition they grew up on. They took that tradition and blended funk and soul with elements of hip hop, jazz and rock all within a brass band context. The band has built a career around an eclectic live show that harnesses the power of horns and drums in a deep pocket funk party-like atmosphere. The Soul Rebels continue to chart new territory as they combine topnotch musicianship with songs that celebrate dancing, life, funk and soul.